If you’ve got a clogged drain, try some of these tips to get it going again! The drains in your home do a lot of work! You probably don’t really even take note of them most of the time. However, if any of your drains have ever become clogged, you know that this can be a major headache. 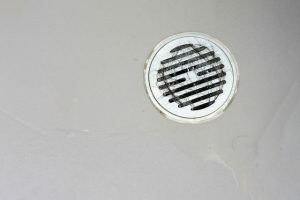 If you’ve got a clogged drain, try some of these tips to get it going again! First, try to fix the clog with boiling water. Just be extremely careful with it. If you have PVC pipe, you shouldn’t do this because the heat of the water can weaken the pipes’ joints. If your clogged drain is in a porcelain sink, pour the water directly down the drain so that it doesn’t touch the porcelain. The drastic temperature change caused by the boiling water could crack the porcelain. Surely you remember this delightfully fizzy combination from an elementary school science class. Besides making a fantastic erupting volcano for the science fair, vinegar and baking soda can help clear a clogged drain! Start by pouring about a cup of baking soda down the affected drain. You don’t need any water for this step. Next, pour about a half-cup of vinegar down the drain and plug it with a rubber stopper or some rags. Wait a minimum of 30 minutes, and then pour boiling water down the drain. You’re probably thinking that plungers are just for toilets, but they can actually be used for pretty much any kind of clogged drain as long as you have the right one. A bowl-shaped plunger without a flange will usually do the trick! Fill the sink or tub about halfway with water. Place the plunger over the drain and ensure a good seal. Then, plunge as normal until the drain starts draining. This entry was posted on Friday, April 20th, 2018 at 10:39 pm. Both comments and pings are currently closed.